Start taking classes at Barre Harmony and other studios! Barre Harmony offers low-impact barre workouts and yoga classes that fit all levels of fitness enthusiasts. Their classes are beginner friendly, with fun formats- no previous experience required. The instructors will lead you into a full body workout that energizes, strengthen and tones in the barre classes and help you get a better mind/body connection in the yoga classes. The studio also offers a strength training boot camp class, deep stretch class, guided meditation classes and barre/yoga combo classes throughout the month. Child care is available for $3/child/visit, please check class times and availability. Wear comfortable clothing you can move freely in, leggings are suggested. For barre classes you will want socks with grip on them, the studio will have some to buy or to borrow. Bring water if you'd like! Yoga Mats are available for rent $3 visit. 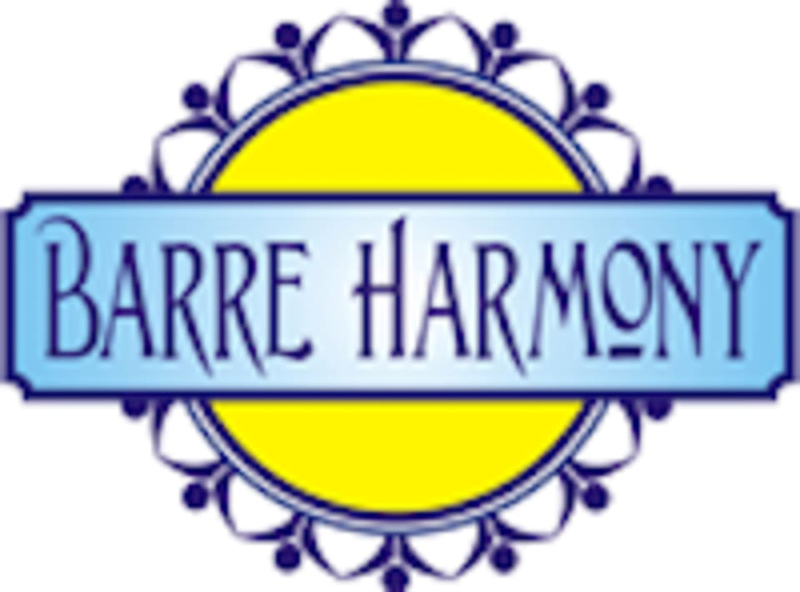 Barre Harmony is located at 6119 Mid Rivers Mall Drive, St. Peters, MO 63304. Look for us right next door to Soccer Master in the 94 Crossing Shopping Center.